Helen is thankful that her aunt invited her to come to the Adventist church and is glad that her family is now coming to worship there too. Papua New Guinea (PNG) is a mountainous island nation. The main island lies just north of Australia. The pointy part of Australia points directly to Papua New Guinea, which shares the island of New Guinea with Papua, a province of Indonesia. About 7.3 million people live in PNG. While the cities are modern, many people still live in small villages in the mountains. Although they may see a village on another mountain ridge, it could take days to hike there, and it’s likely that the people there don’t speak the same dialect. More than 700 different languages and dialects are spoken in Papua New Guinea. Helen* was the only girl in the family with four brothers. Her father was a Roman Catholic, and her mother had an Adventist background but didn’t go to church. 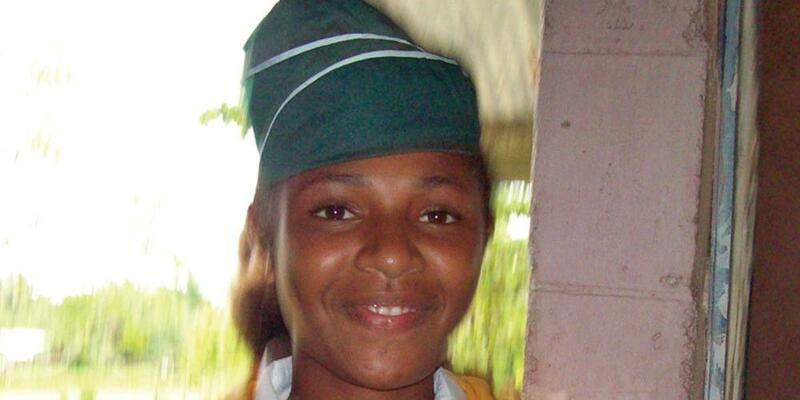 Helen, who was 13 years old, was a very religious girl and faithfully attended the Catholic church with her father. At home, she had a little statue of Mary holding baby Jesus. She was very careful to pray to Mary and to confess her sins to the priest. One day Helen’s aunt invited her to come stay with her for a weekend. Helen was very excited to be with her auntie for a few days. On Saturday, Helen’s aunt invited her to come to church. Helen thought it was a little strange to go to church on Saturday morning, but she agreed to go. When Helen walked into the church, she was surprised that there weren’t any candles or statues. But there were lots of children and young people, and they all seemed happy that she was there. Helen liked the singing, stories and other activities in Sabbath School, and she enjoyed listening to the preacher during the divine worship service. She had never seen anyone use their Bible like he did. As her aunt looked up the Bible verses, Helen followed along. In the afternoon, Helen was invited to stay for the Pathfinder meeting. She was surprised to see so many Pathfinders! She heard about all of the fun things they did, like camping, hiking, learning how to tie knots, learning first aid, and even learning how to give sermons! Helen really enjoyed spending time with her aunt and meeting the many children and young people at her church. She decided that she wanted to visit the Adventist church again. When she got back home, she put away her little statues of Mary. Then she decided that she would confess her sins only to God rather than to a priest. Helen started going to her aunt’s church regularly and she joined the Pathfinder Club. And even though no one had said anything to her about it, she also decided to take off all the jewelry she was wearing and put it away. Every Sabbath morning, Helen walks one mile (1.6 km.) to a bus stop. Then she gets on the first bus and rides to the place where she gets on a second bus. Once she gets off that bus she walks another mile to get to the Adventist church. And she always arrives early for Sabbath School! Helen used to make this journey by herself, but now her mother is starting to come to church with Helen, along with Helen’s four younger brothers. Sometimes even Helen’s father will come to the church with them. Have you invited someone to come to Sabbath School with you? Maybe a friend, neighbor, or a relative? Why not ask Jesus whom you could invite today?